Last weekend was the huge, annual neighborhood garage sale hosted by the local real estate agent (you know, that lady with the big hair who sends all the note pads and calendars). Oh, yeah, it was big doings. Six streets participated and everybody was out early at 7 a.m. ready to sell their wares and stuff their fanny packs full of riches. My kids love garage sales. To say that one man’s trash is another man’s treasure doesn’t do their excitement for garage sales justice. They always want to buy other people’s crap and I can’t very well tell them that it’s crap with the owner of said crap standing right there in front of us. And, what did C.J. just HAVE to have? Out of everything spread on old, gross blankets on the dirty, cracking driveways? This book. 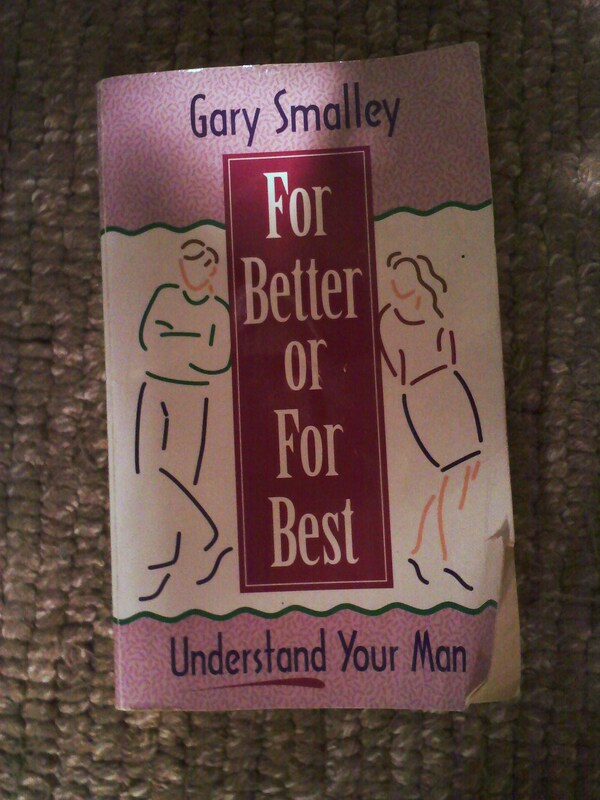 For Better or Best: Understand Your Man by Gary Smalley. I tried to steer him towards something a little more age-appropriate. He wasn’t having it. 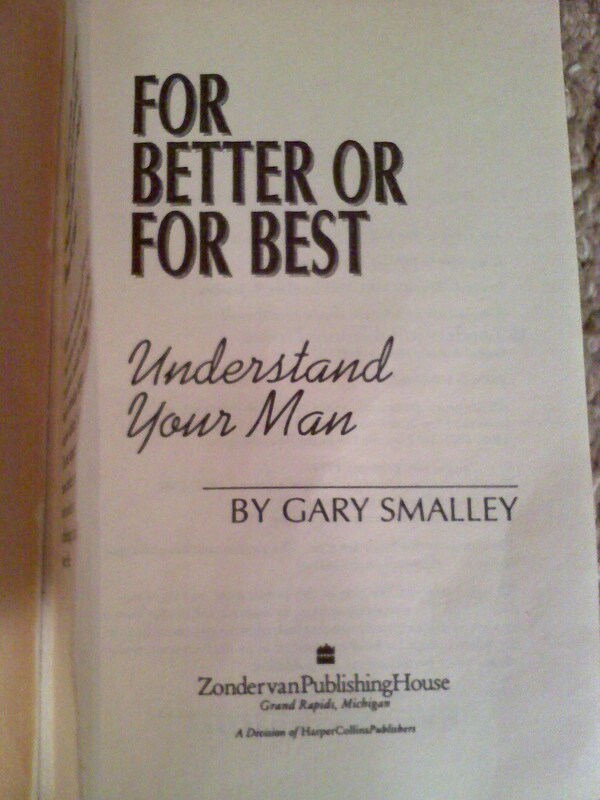 I tried to steer him towards any other book. 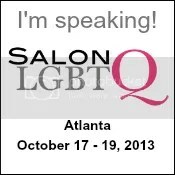 Nope, not interested. He can’t read. Obviously. So, why does he like this book so much? He tells me that he likes to look at the numbers; and, by numbers he means words. The book has gone everywhere with C.J. : to bed, to the bathroom, in the car, to Nana Grab Bag’s house, to Target, everywhere. This entry was posted in All Posts and tagged effeminate, Gay, Gender, Gender Stereotypes, homosexual, parenting, raising a gay child, Raising gay child, Raising My Rainbow. Bookmark the permalink. I can totally relate! Our local library was having a book sale this weekend at the Farmer’s Market. Since we arrived at the end of the day, and it was the last sale of the year, the books were free. I picked out some children’s books for her…got myself some cookbooks….and she had to have a 400 page, hardbacked tome entitled “Germans to American-Lists of Passengers Arriving at US Ports, Volume 26, October 1871-April 1872.” She has read it non-stop for days, and brags about her find to anyone who will listen. BE CAREFUL! I recognize that publishing imprint — it’s totally one of those ‘We’re so modern, but we’re still totally Fundamentalist!” Born Again books. And probably chockful of ways to make sure Christ stays the #1 key to your relationship. I love your son almost as much as you do — I can’t tell you the happiness I get from hearing your stories. But do yourselves a favor — and find him another book that won’t have any born again indoctrination in it!! I cracked up when I saw the cover of this book. Very ironic is your son does turn out to be gay. Either way, it’ll be a good story to tell him when he is older! Well, at least he’ll have a headstart on relationships! Imagine knowing those things at his age. It would have saved me several years of therapy!!! I think C.J. 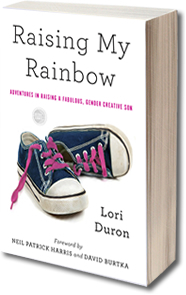 is likes this book because of the colors on the cover. Hard to tell from the picture if it’s pink or lavender, but either way that’s probably what drew him to it.